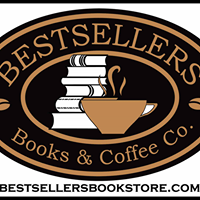 Book Buyer Advantage $ Reward - Community Support | Bestsellers Books & Coffee Co.
We are happy to order any book in print. Please call us for your bulk or special order. Our Book Buyer Advantage Award will reward you with a $5.00 Coupon each time your eligible new book purchases reach $75.00. Our Independent stores support a wide variety of community events and charitable causes. Mason Area Chamber of Commerce, Mason Schools., libraries of Dansville, Mason, Aurelius & Leslie. Mason Soccer Club, American Cancer Society Relay for Life.Child Benefit Fund. Mason Historical Society, Kiwanis Club of Mason, Mason Rotary Club, Dansville School Foundation, Mason School Foundation. Mason Fire Fighters Association.